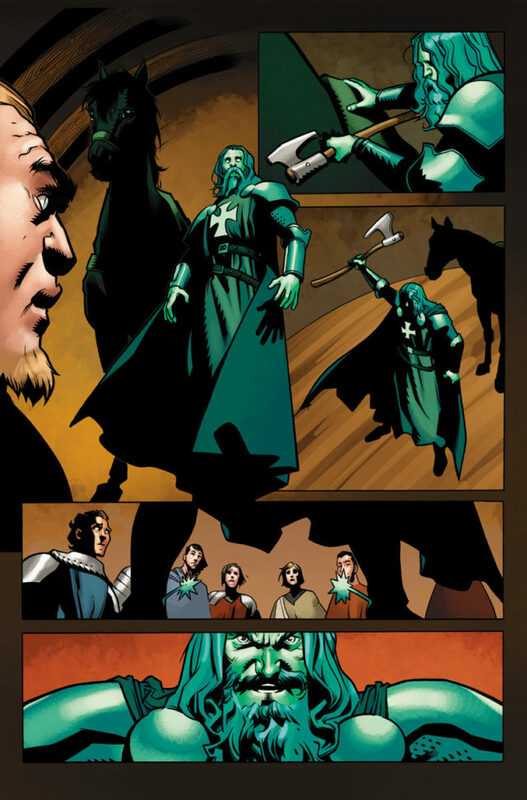 Valiant is proud to present your first look inside IMMORTAL BROTHERS: THE TALE OF THE GREEN KNIGHT #1 – a swashbuckling one-shot adventure colliding Archer & Armstrong, the Eternal Warrior, and Ivar, Timewalker with King Arthur’s Court for 48 pages of non-stop adventure! 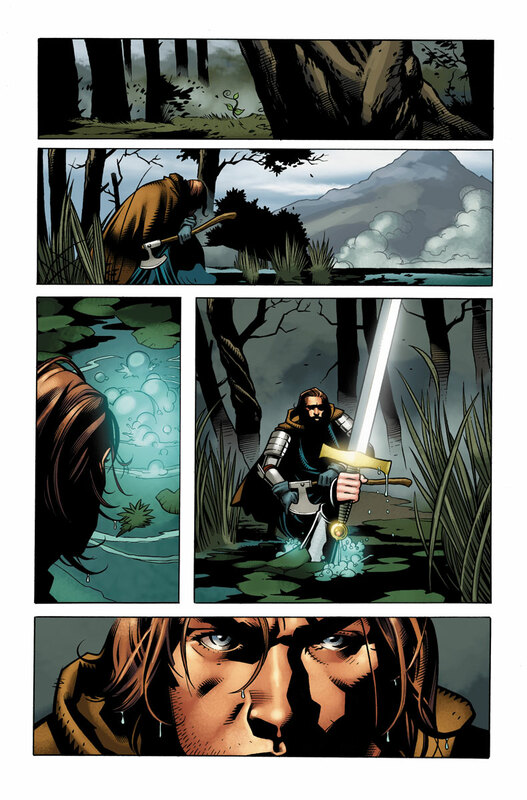 On April 12th, celebrate 25 years of Valiant’s famed immortal trio with New York Times best-selling writer Fred Van Lente (Archer & Armstrong) and Eisner Award-winning artist Cary Nord (X-O Manowar) as they journey backwards in time to the fabled realm of Camelot…as the immortal Anni-Padda brothers come together to wage war against the fearless and formidable Green Knight! 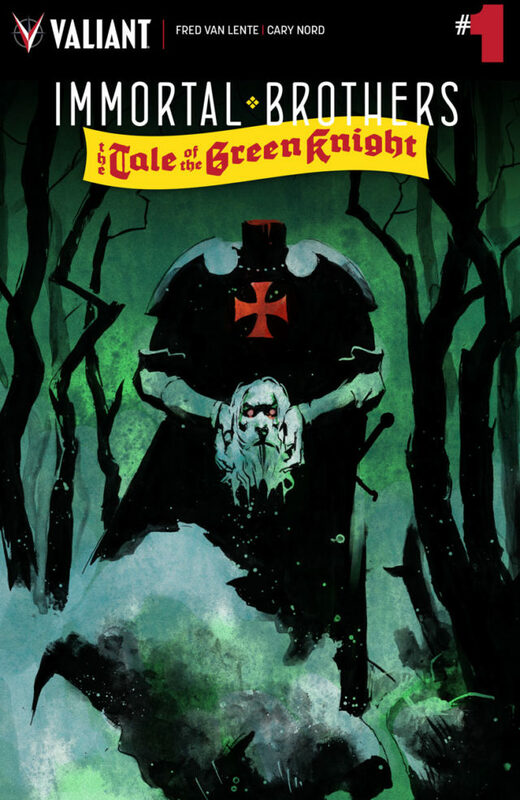 Presented in loving tribute to Barry Windsor Smith’s classic Archer & Armstrong/Eternal Warrior #8, a quest centuries in the making takes flight in an oversized tale of bravery and brotherhood honoring the silver anniversary of Valiant’s eternal heroes! 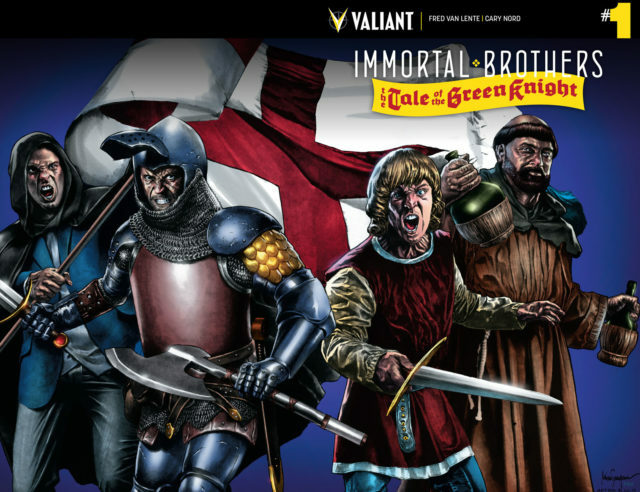 On April 12th, Valiant’s most gallant immortals raise sword and shield for a legendary tale like none other! Valor, villainy, and victory are the order of the day as the IMMORTAL BROTHERS: THE TALE OF THE GREEN KNIGHT #1 rises to the challenge – with covers by all-star artists Cary Nord (Conan), Mico Suayan (Bloodshot Reborn), Marc Laming (Ninjak), and newcomer J.M. Dragunas! 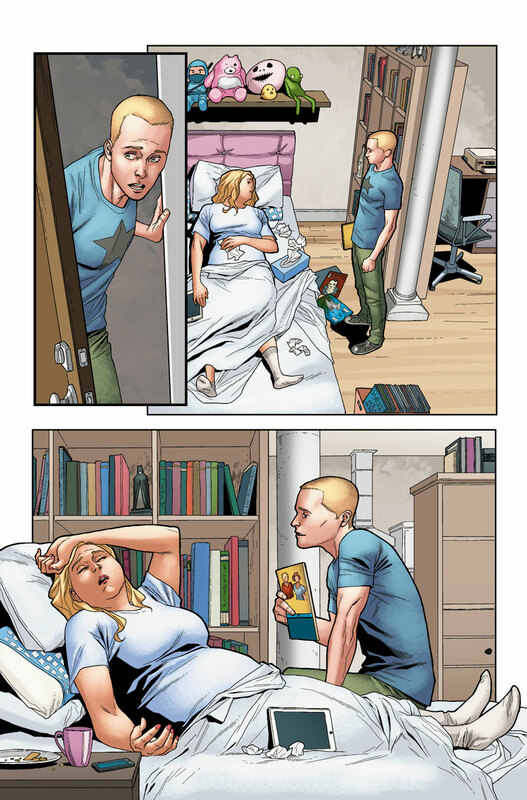 Plus: Be back on May 10th as New York Times best-selling writer Robert Venditti (Hal Jordan & The Green Lantern Corps.) 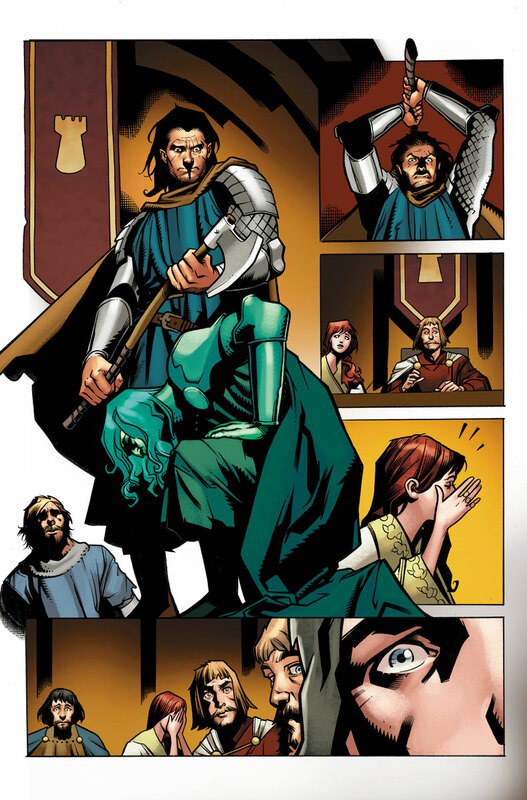 and acclaimed artist Renato Guedes (Bloodshot Reborn, Wolverine) reveal a seminal chapter of the Valiant Universe’s earliest days in ETERNAL WARRIOR: AWAKENING #1 – the second of four special issues honoring the most beloved Valiant tales ever! 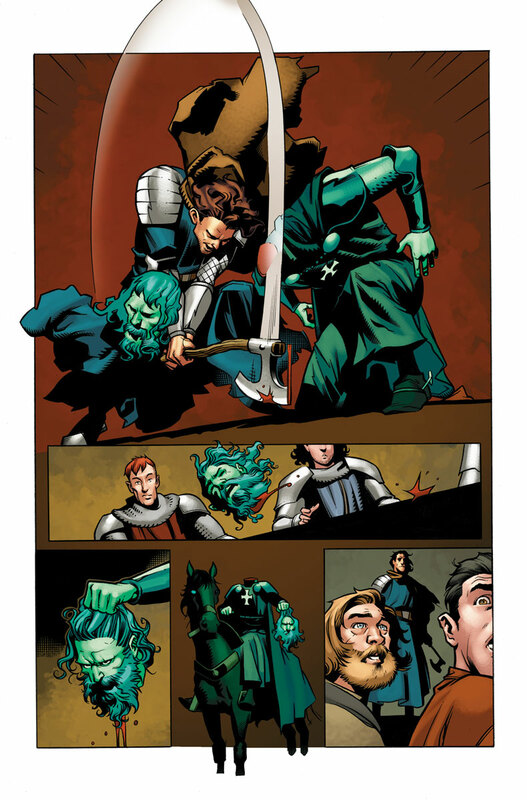 Revealing a bloodstained episode of Gilad Anni-Padda’s journey through the ages…and celebrating the original ETERNAL WARRIOR #1 by comic legends Jim Shooter and John Dixon! 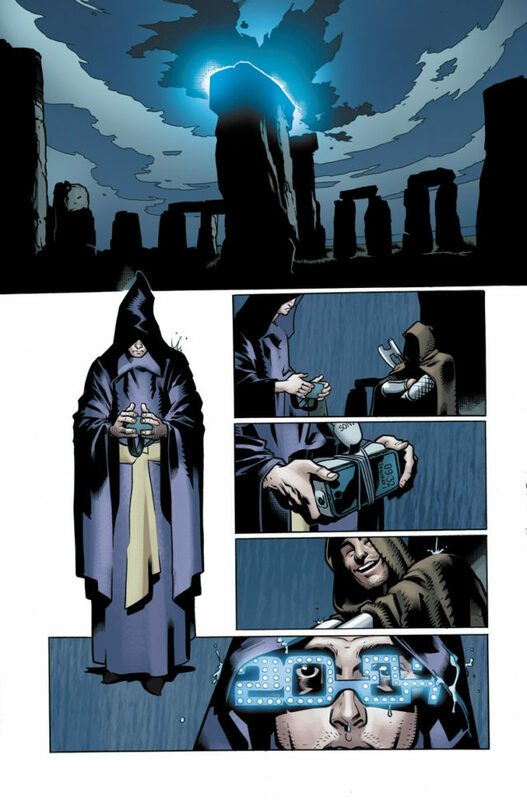 Then, look for two more celebratory one-shots honoring Valiant’s most memorable tales as the summer continues.